Zhishi Peichu lives in the Wengshang village of Gezan Township, Shangri-La City. A man of originality, Zhishi Peichu adapted to local conditions and formulated a unique approach to developing the eco-industry. 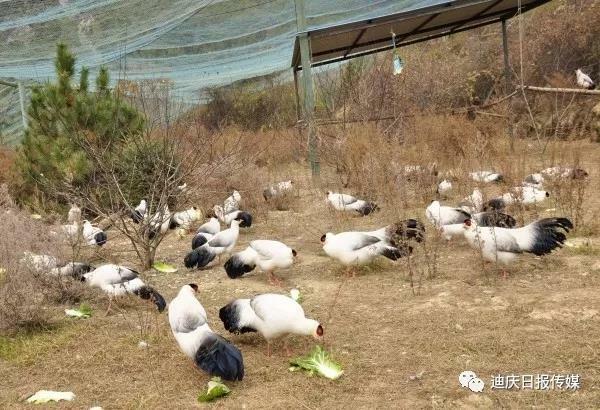 In the past 11 years, Zhishi Peichu has been trying to breed the Tibetan eared pheasant with efficiency, and he turned out to be a success. In 2016, Zhishi Peichu sold his 40 Tibetan eared pheasants to a zoo in northeast China’s Liaoning Province and to some scenic areas, with the prices for each ranging from 5,000 to 8,000 yuan. At the same time, Zhishi Peichu also sold 90 of the birds’ eggs to others for the purpose of incubation. Each egg costs 200 yuan. In total, breeding Tibetan eared pheasants brought him a total fortune of more than 200,000 yuan. In the future, Zhishi Peichu wants to lead his fellow villagers in his cause, so that more impoverished natives can benefit from his experience in feeding the Tibetan eared pheasant. "For farmers, breeding is a long-term enterprise and there is no short-term benefit. You must be patient and determined to gain success," he said.